black math’s debut! dark new wave fuzz beats. anthems for no tomorrow! 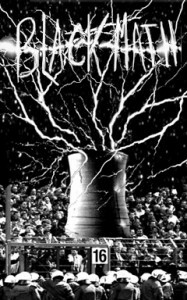 black math originally released this as a cassette in 2008, hence the tapelike artwork. a few of these carefully handcrafted cassettes might still be available from the band directly.